Yep, all good things must come to an end no matter how much we dreaded it. Even the night before we were feeling pretty sad about having to go back to reality the next day. We woke up on Day 5 and took our time getting ready. Most of our stuff had already been packed but still something needed to be shuffled around especially since we did stop by the shops near the hotel the night before to do some last-minute shopping. 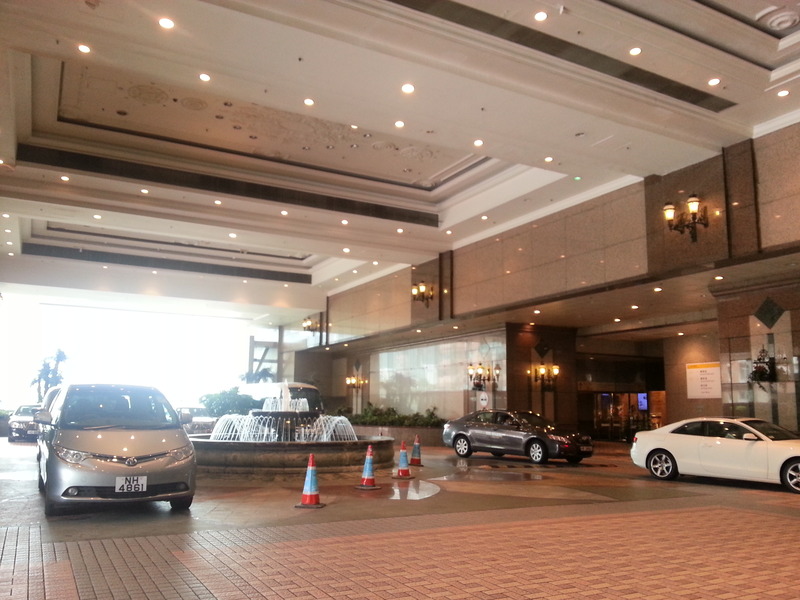 After all the packing was done, we went downstairs to check with the concierge what the best way to get the hotel was. When that was settled, we went and took a train. Last mission: getting Irene’s daughter, Sam, her game card. Irene was unable to recall where she bought the game card from the last time she was there but she had a good sense of direction so we ended up finding the place. It was a mall that sells PC, mobile phones and accessories…can’t remember the name of the road. 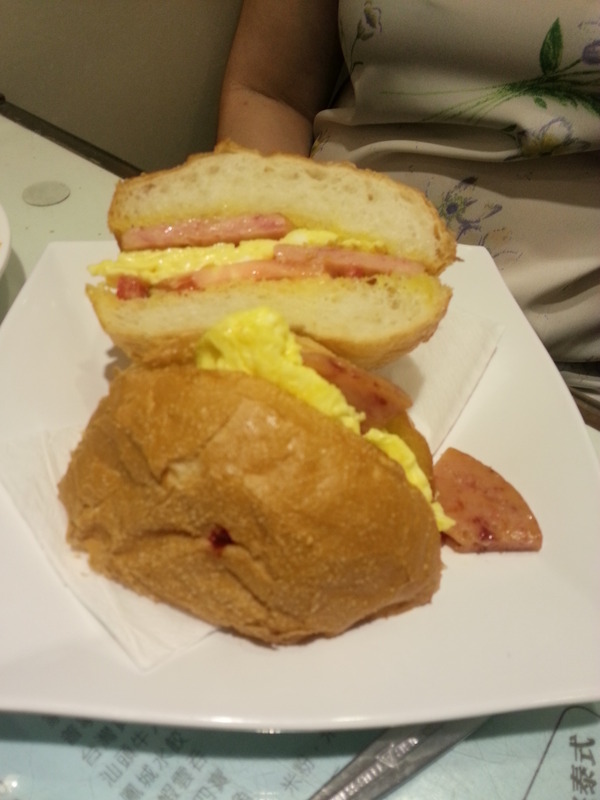 Anyway, we had breakfast while we waited for the mall to fully open. After that we went back and managed to get the game card for Sam and then rushed back to the hotel to check out. We took the hotel shuttle bus and my luggage was the heaviest among all so thank goodness the bellhop helped carried it up the bus. Of course I tipped him! We got to the airport terminal before 2pm. The counter staff was nice. He let us check in despite the counter wasn’t really open yet and we so with our luggage safely checked in, we went off again to do some last-minute shopping at Nathan Road, Jordan. There we bought the famous Hang Heung Wife Biscuits (check this blog out: http://angkukuehblog.blogspot.sg/2008/01/hong-kong-wife-biscuits.html). The biscuits were freshly baked and they make good gifts to bring back home to friends, family and colleagues. Each of us bought about 5-6 boxes of the biscuits, each box containing 6 pieces of the sweet pastry. Yum! Then we had to come across another steamed milk outlet and like a piece of iron attracted by a magnet, Lina just had to go in and sit down. 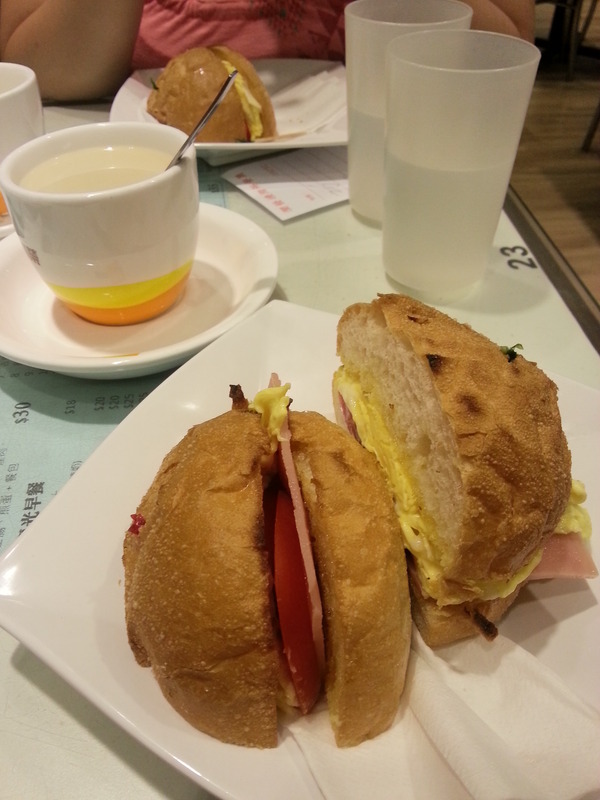 So as usual, the other 3 had their double-boiled steamed milk while I had the egg version. After that, with our heaving load of biscuits (yep, they are heavy! ), we walked around and managed to get some clothes from an outlet that’s called ‘In and Out’. The night before I bought a white blouse from a shop with the same name near our hotel and this time, I bought a navy blue one. 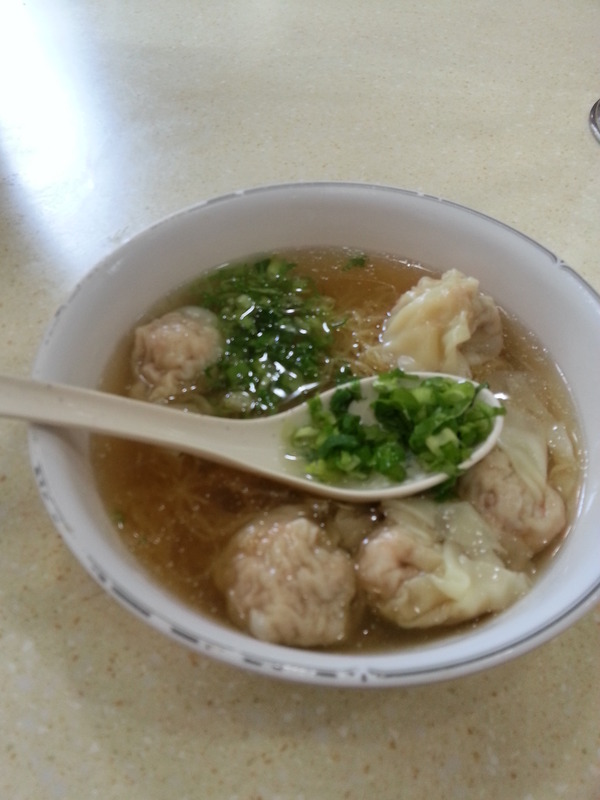 Then we stopped by a small eatery and had a lunch of won ton noodles and beef noodles. Another YUM! The eatery was just a small shop in a corner of a building. The shop could only fit in about 4 or 5 tables and was rather squeezy. Guess they do more delivery than eat-in business. We didn’t spend much time dallying in there because we knew they’d want the table for other customers. Space is a premium in small countries like Hong Kong and Singapore. We still had much time to kill because our flight was at 9pm so we ended up at a mall nearby after lunch. By then we were dragging our feet LOL Funny how you were never really bothered by tiredness when you were having fun but when it is time to get back to reality, you start aching here and there. At least I was. My feet were killing me. So in the mall, we walked around trying to spend the last of our HK dollars and after a couple of hours of milling around, sitting and then milling around again. We ended up in a cafe and had cakes and coffee, another birthday treat for me 😛 (we were due to arrive home on my birthday, you see 😉 ). We basically just sat at the cafe to rest our feet while we ate. Our shopping bags had become heavier by the minute and this rest was much needed! We bought some fancy-looking bread and pastries for home before we left the mall for the airport again. And guess what? We were still too early for the flight and so what did we do? More shopping! Yep, at the airport. By now you know the drill – eat and shop, eat and shop, eat and more shopping! Thankfully there was no luggage to lug around even if our shopping bags did weigh a ton. 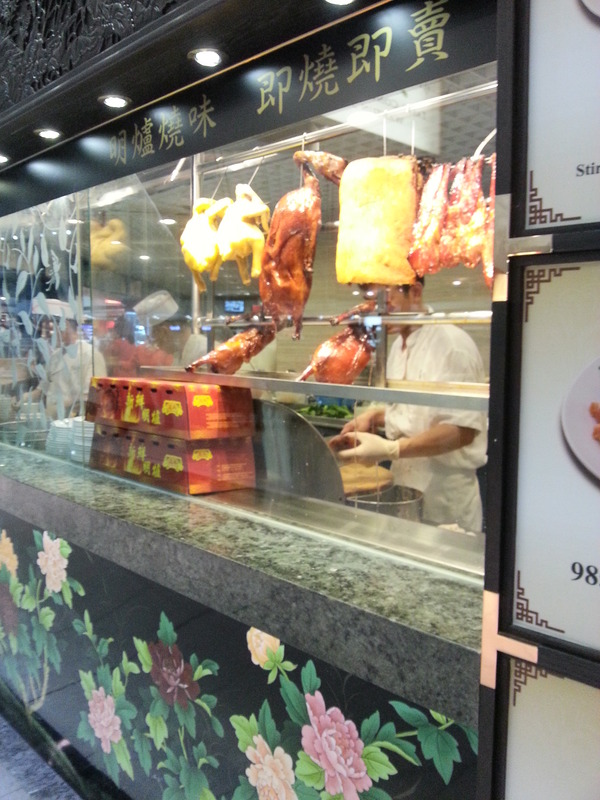 Lina had wanted to get some roasted goose drumsticks for her kids at home but we felt it was too early to buy them so we just loiter around the airport shopping mall, buying titbits with what small change we had until around 6pm. 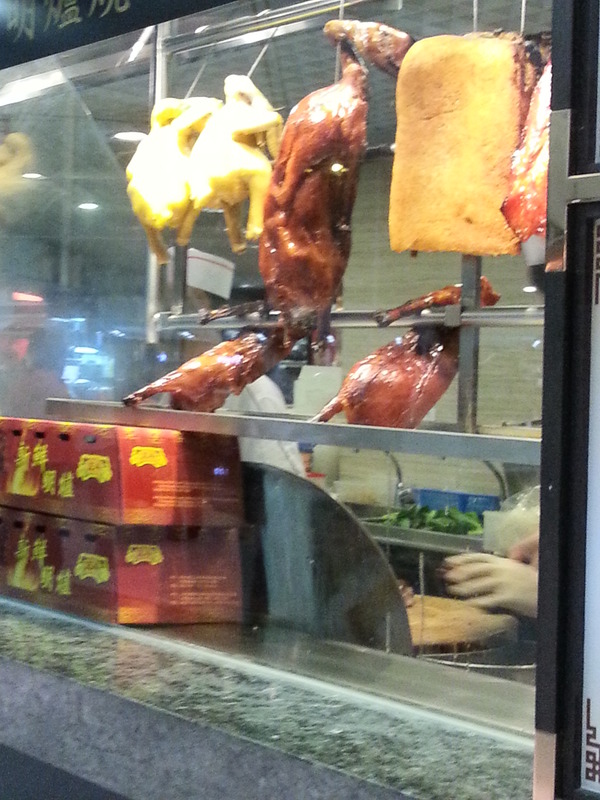 Then we made our way to the place where the eateries were but oh no, the goose meat were sold out! I guess that was all that happened on our last day in Hong Kong. I may have missed some things out since my memory has never been good (ask my hubby, he knows only too well!). – Hong Kong people are generally a helpful lot. We came across people who offered to help us at the subway station even without us asking for help (we were just checking the train map); a man giving up his table in a crowded food court in the midst of eating so the four of us didn’t have to be separated; a lady making way on the crowded tram and even wiped the wet seat with a piece of tissue paper so one of us could squeeze in and sit (she might be from mainland China); the stall owners we bought our souvenirs from in Lady’s Market were friendly and nice. 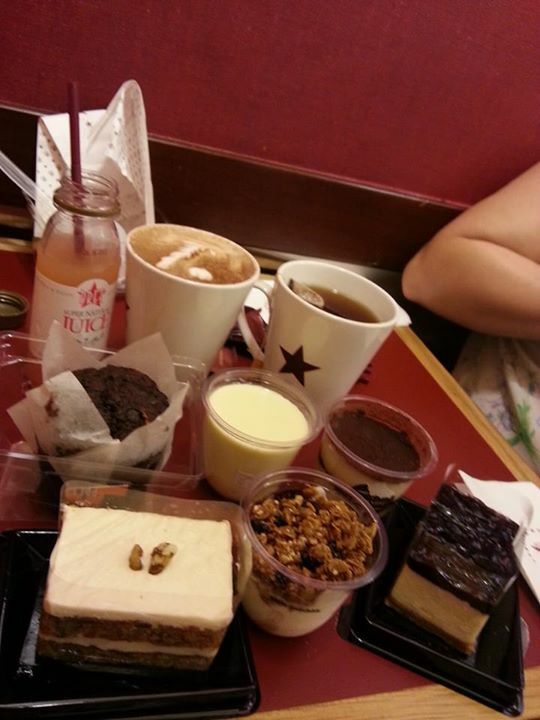 – Staff at the MTR station are very friendly and helpful and are everywhere. You just have to look around with a confused look and one would turn up asking if you needed help. They are very efficient, even a spot of water was quickly cleaned up with two station staff standing watch over the cleaners, instructing them and directing passengers away from the wet spot. – The train has announcements in 3 languages: English, Mandarin and Cantonese. And most Hong Kong people speak all three languages, especially the younger generation. You won’t get lost, just ask around if you do. – The MTR has this announcement every two or three minutes for you to hold on to the handrail when travelling on the escalator, in all 3 languages. – No matter where you are, you will see Sasa cosmetic and toiletries outlets everywhere, some places even have 2 or 3 shops within walking distance of each other. – Toilets are hard to find when you’re out on the streets so head for the fast food outlets like McDonald’s if you need to use the loo. One hotel we came upon only allowed hotel guests to use their lobby restroom. But generally, the toilets are well-kept and very clean, even the one in the eatery we went to. The ones in the malls usually have disposable seat covers or seat disinfectant. I guess cleanliness is extremely important there probably because of the birdflu outbreak. 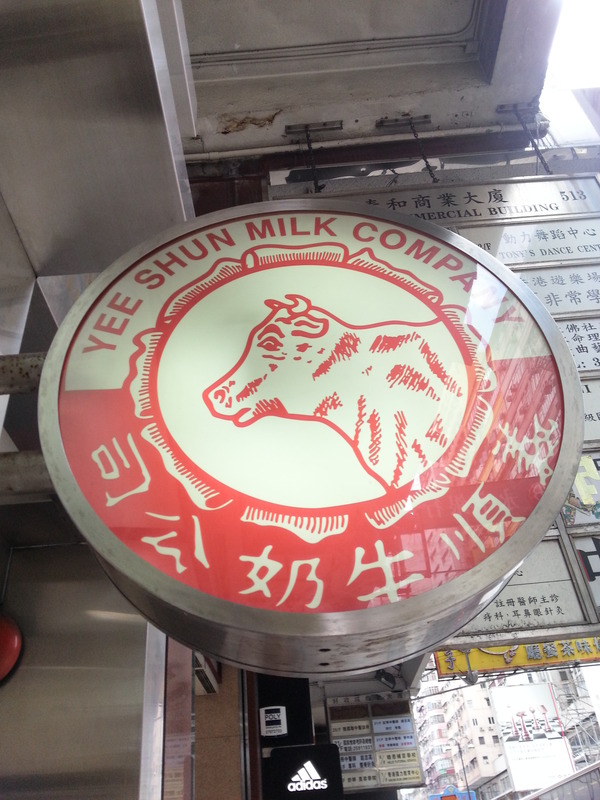 I guess that concludes my write-up of my Hong Kong trip experience. I want to thank my 3 sisters for taking such good care of me, planning the daily itinerary based on my needs since it was my first trip there. They were most patient and all three speak Cantonese well enough to get us through the trip without a hitch. I couldn’t have asked for better guides than my lovely LZB sisters 🙂 Thank you, Lina, Irene and Stephanie! Next trip…Taiwan? I hope so! Sorry I got in on the last installment Judy. Will have to go back and read the rest. It’s crazy busy right now for me. Always enjoy your travels. You’re most welcome, Joan. Thank you for your support. Will try to update this blog as frequently as I can.